The Games on Demand version supports English, French, Italian, German, Spanish, Norwegian, Swedish, Danish, Finnish, Dutch. 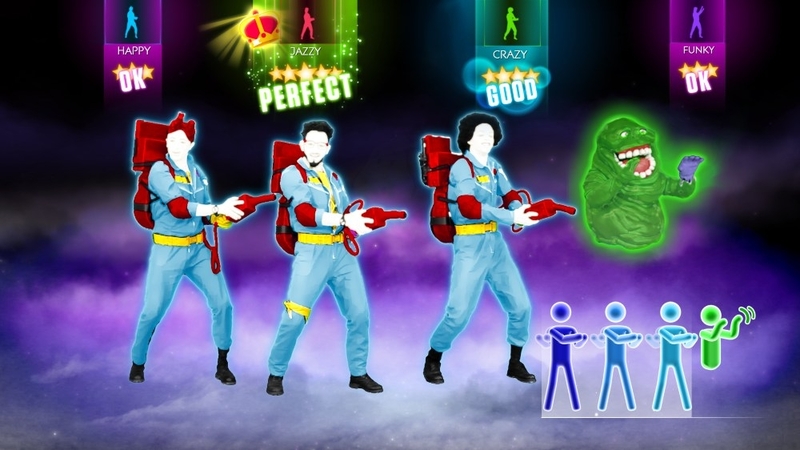 The latest opus of the Just Dance franchise will make you dance even more and will be once again the ultimate casual rendezvous of the year. This new opus will be even more social as you will be able to connect and dance with players from all over the world and share a unique dancing experience with them. It becomes the party expert and features today iconic pop culture references. 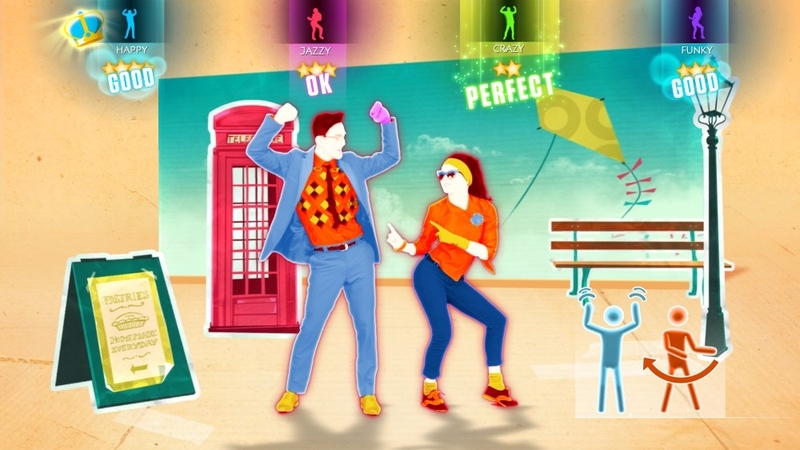 New modes will be available, letting you and your friends experience parties the way only Just Dance knows how! 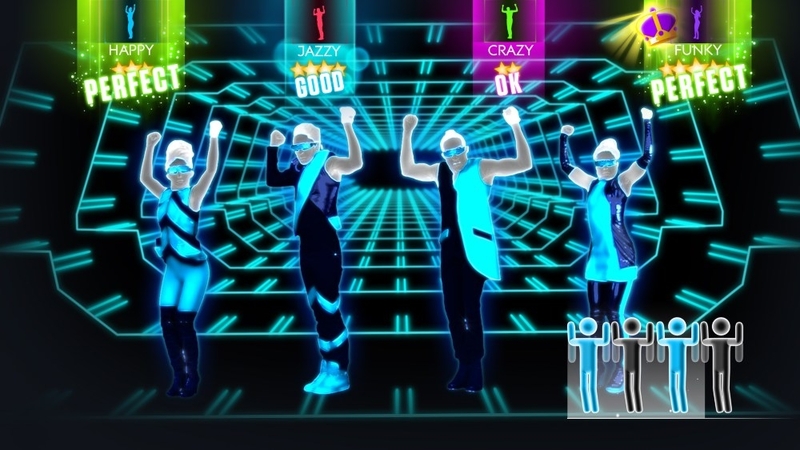 Pump up the party and download all-new moves from "The World Is Ours" by David Correy Ft. Monobloco on Just Dance 2014! Written by T. Price, J. Altruda, A. Armato, A. Bloch & E. Dunne. Published by Coca-Cola Music (ASCAP) / Coca-Cola Publishing (BMI) / Akashic Field Music (BMI)/ Downtown Music Publishing o/b/o Antonina Songs (ASCAP) / Universal Music Publishing Group a division of Universal Music Canada Inc. Produced by Mario Caldato Jr. & Rock Mafia. Courtesy of Coca-Cola Music. 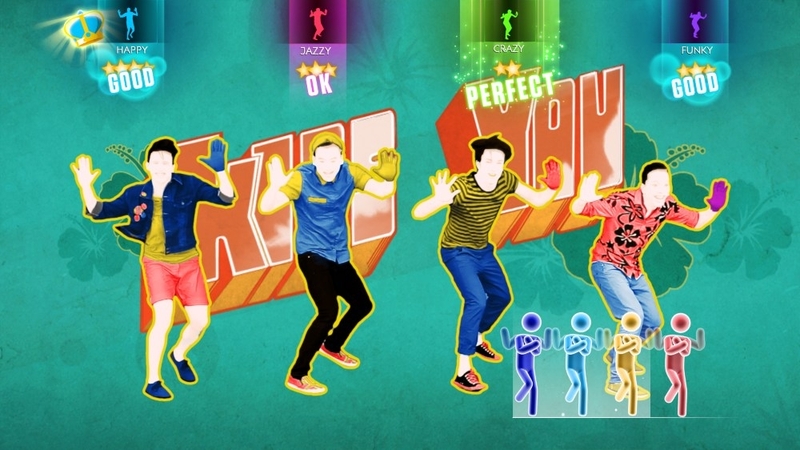 Pump up the party and download all-new moves from "One Thing" by One Direction on Just Dance 2014! Written by Rami Yacoub, Carl Anthony Falk and Savan Kotecha. Published by Mr Kanani Songs (ASCAP)/ EMI April Music Inc. (ASCAP) / Rami Productions AB. Administered by Kobalt Music Publishing America, Inc. / Chrysalis Music (ASCAP). Courtesy of Simco Limited Under exclusive license to Sony Music Entertainment UK Limited. By arrangement with Sony Music Licensing. Pump up the party and download all-new moves from "Waking Up In Vegas" by Katy Perry on Just Dance 2014! By A.Carlsson, D.Child, K.Perry. Pub. by Universal Music Pub. Group a division of Universal Music Canada Inc. /©2008 WB Music Corp. (ASCAP), Andreas Carlsson Pub. AB (STIM), When I'm Rich You'll Be My ***** (ASCAP). All rights obo itself, A.Carlsson Pub. AB and When I'm Rich You'll Be My ***** admin. by WB Music Corp. All rights rsv’d. Court. of Capitol Rec. under license from Universal Music Ent. Pump up the party and download all-new moves from "Beauty And A Beat" by Justin Bieber Ft. Nicki Minaj on Just Dance 2014! Written by M. Martin, A. Zaslavski, O. Maraj and S. Kotecha. Published by MXM Music AB and Anton Zaslavski. Admin. by Kobalt Music Publishing America, Inc. / Universal Music Publishing Group a division of Universal Music Canada Inc. Courtesy of The Island Def Jam Music Group under license from Universal Music Enterprises. Nicki Minaj appears courtesy of Cash Money Records/Universal Republic. Beware, this is not a new version of « Wake Me Up » by Avicii song. You do not need to download it if you have already purchased it. Written by Tim Bergling (STIM), Aloe Blacc and Michael Einziger. Published by EMI Music Publishing Scandinavia AB (STIM) / Elementary Particle Music / Aloe Blacc Publishing, Inc. All rights reserved. Used by permission. Courtesy of Interscope Records under license from Universal Music Enterprises. Pump up the party and download all-new moves from "Moves Like Jagger" by Maroon 5 Ft. Christina Aguilera on Just Dance 2014! Written by Adam Levine, Ammar Malik, Benjamin Joseph Levin and Johan Karl Schuster. Published by Prescription Songs, LLC and MXM Music AB.Admin. by Kobalt Music Pub. America, Inc./ Universal Music Publishing Group a division of Universal Music Canada Inc. Courtesy of A&M/Octone Records under license from Universal Music Enterprises. 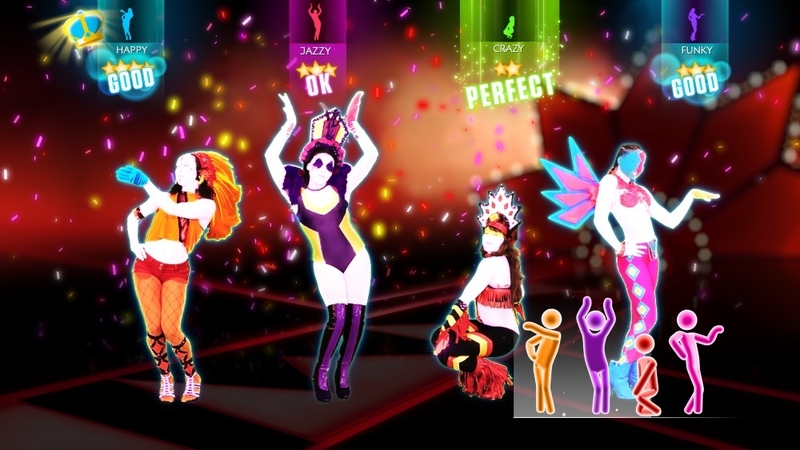 Pump up the party and download all-new moves from "We R Who We R" by Ke$ha on Just Dance 2014! Written by Benjamin Levin, Jacob Kasher Hindlin, Kesha Sebert, Lukasz Gottwald, and Joshua Coleman. Published by J. Kasher Music (ASCAP)/ Sony/ATV Tunes LLC (ASCAP) / Lotzah Matazah Songs LLC, Prescription Songs, LLC, and Kasz Money Publishing. Adminsitered by Kobalt Music Publishing America, Inc. Courtesy of Kemosabe Entertainment/RCA Records. By arrangement with Sony Music Entertainment. With this download you’ll gain access to an alternate choreography of an already existing Just Dance 2014 track, giving you a whole new way to experience your favorite song! Pump up the party and download all-new moves from "Timber" by Pitbull Ft. Ke$ha on Just Dance 2014! P.Renea, A.Perez, B.Isaac, J.Sanderson, L.Gottwald, H.Walter, K.&P.Sebert, L.&K.Oskar, & G.Errico. Sony/ATV & Kecse Rose Mus (BMI)/Sony/ATV (SOCAN)/Artist 101 Pb. Grp (BMI)/WB Mus (ASCAP)/Keep It Simple Stupid Pb. (ASCAP)/Artist Pb. Grp W. (ASCAP)-Admin. WB /Kasz Money Pb., Prescription Songs LLC & Dream Machine Cp. All Rgts Rsvd. Used w/perm. Mr.305/Polo Grounds/RCA/Kemosabe. Arr. w/ Sony Mus Ent. Pump up the party and download all-new moves from "Rock N Roll" by Avril Lavigne on Just Dance 2014! Written By C. Kroeger, A. Lavigne, D. Hodges, J. Hindlin, P. Svensson & R. Goransson. Published by MXM Music AB, 3 Weddings Music, Prescription Songs LLC. Admin by Kobalt Music Pub. America, Inc. / © Warner-Tamerlane Pub. Corp. (BMI), Anaesthetic Pub. (SOCAN). All rights reserved. Courtesy of Epic Records. By arrangement with Sony Music Licensing. 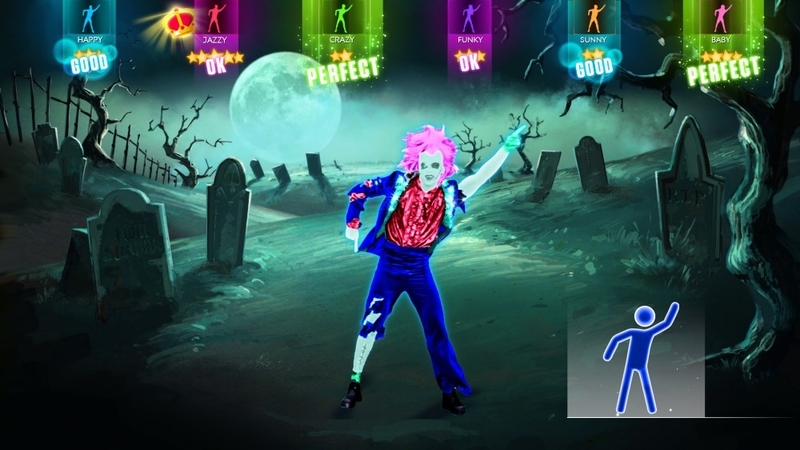 Pump up the party and download all-new moves from "Die Young" by Ke$ha on Just Dance 2014! Written: N. Ruess, B. Levin, H. Walter, K. Sebert & L. Gottwald. Pub. : Prescription Songs LLC, Lotzah Matzah Songs LLC, Dream Machine Corp, Kasz Money Pub. Admin. by Kobalt Music Pub. America, Inc./WB Mus. Corp (ASCAP), FBR Mus. (ASCAP), Bearvon Mus. (ASCAP). All rights obo, FBR Mus. & Bearvon Mus. Admin by WB Mus. Corp. All Rights Rsvd. Courtesy of Kemosabe Rec./RCA Rec. By arr. w/ Sony Mus. Ent. "Pump up the party and download all-new moves from ""Don’t You Worry Child"" by Swedish House Mafia Ft. John Martin on Just Dance® 2014! Written by S. Angello, A. Hedfors, S. Ingrosso , M. Lindstrom & M. Zitron. Published by Sony/ATV Music Pub. (UK) Ltd. c/o Sony/ATV Music Pub. Canada / Lateral Mgmt London Stockholm AB Admin by Kobalt Music Pub. America, Inc. / Universal Music Pub. Group a division of Universal Music Canada Inc. Courtesy of EMI Records Ltd. under license from Universal Music Enterprises. "Pump up the party and download all-new moves from ""I Need Your Love"" by Calvin Harris Ft. Ellie Goulding on Just Dance® 2014! Written By Ellie Goulding and Calvin Harris. Published by Downtown Music Publishing LLC o/b/o Global Talent Publishing Ltd. (PRS) / TSJ Merlyn Licensing B.V. c/o EMI April Music (Canada) Ltd. Courtesy of Sony Music Entertainment (UK) Ltd. By arrangement with Sony Music Licensing. Ellie Goulding appears courtesy of Polydor Ltd. and Interscope Records. 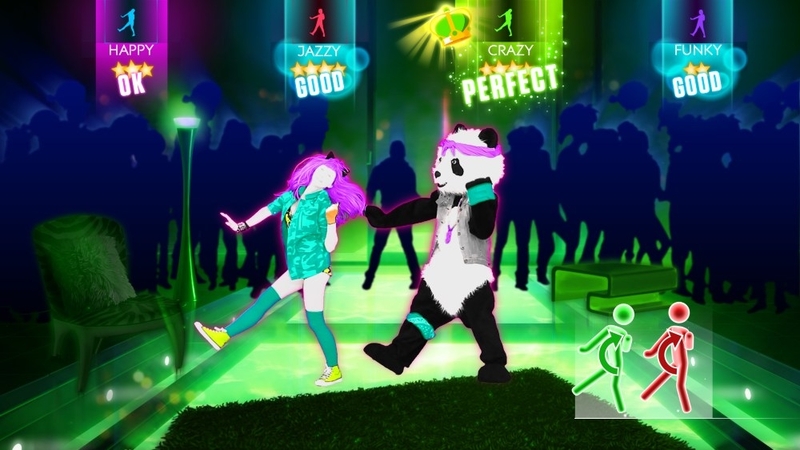 "With this download you’ll gain access to an alternate choreography of an already existing Just Dance 2014 track, giving you a whole new way to experience your favorite song! "Pump up the party and download all-new moves from ""Gangnam Style"" by PSY on Just Dance® 2014! Written by Gun Hyung Yoo (KOMCA), Jai Sang Park. Published by Sony/ATV Music Publishing Canada (SOCAN) / Universal Music Publishing Group a division of Universal Music Canada Inc. All rights reserved. Used with permission. Courtesy of Universal Republic Records under license from Universal Music Enterprises. 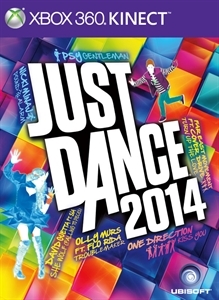 "Pump up the party and download all-new moves from ""My Main Girl"" by MainStreet on Just Dance® 2014! Written by Willem Laseroms, Maarten Ten Hove and Joachim Vermeulen Windsant. Published by Universal Music Publishing Group a division of Universal Music Canada Inc. Courtesy of Universal Music B.V., The Netherlands under license from Universal Music Enterprises. This is the offical choreography of "Applause" by Richy Jackson. With this download you’ll gain access to an alternate choreography of an already existing Just Dance 2014 track, giving you a whole new way to experience your favorite song! © 2013 Ubisoft Entertainment. All Rights Reserved. 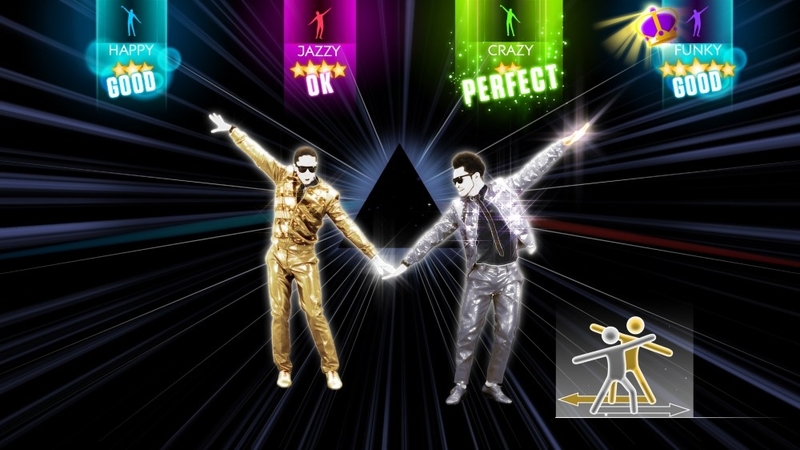 Just Dance, Ubisoft and the Ubisoft logo are trademarks of Ubisoft Entertainment in the U.S. and/or other countries. "Pump up the party and download all-new moves from ""Can't Get Enough"" by Becky G Ft. Pitbull on Just Dance® 2014! H.Walter, L.Gottwald, R.Gomez, U.Vargas, A.Perez, G.Van Offeren, N.Hollowell-Dhar & T.Todorov, M.Martin. Prescription Songs LLC, Dream Machine Corp., Kasz Money Pb. & MXM Mu. AB/Sony/ATV Pb. CAN (SOCAN) obo Sony/ATV Songs (BMI), Belmondo Pb. (BUMA), Indie Pop. (ASCAP)/DJ Buddha Mu. Pb. c/o EMI Blackwood Mu. CAN Ltd. All rgts. RSVD. Kemosabe Rec./Mr.305/Polo Grounds Mu./RCA by arr. w/Sony Mu. Ent.